Lemon Pumpkin Shortbread sounded like an odd mix to me. Lemon and pumpkin? Ew!! That was my initial thought until I smelled the wax. Once I did, oh my goodness!! It smelled so yummy!! To me, this scent reminded me of a warm lemon cookie. I loved it right off the bat!! Would pumpkin make it’s presence known once melting? Honestly, I’m hoping not. But… we shall see! Lemon Pumpkin Shortbread scent is baked to perfection with spiced pumpkin puree. Stirred with lemon and ginger zest then infused with buttery shortbread and baked with cinnamon and black clove. Accented with vanilla bean and topped with lemon drizzle icing. Oh yum!! I’ll take twelve please!! Just an FYI, I didn’t smell any spice to this scent but I sure did lemon and shortbread cookies. Lemon drizzle icing? Oh, I hope so! I used the entire clamshell pack of Lemon Pumpkin Shortbread (3 cubes each) in two electric melters in my great room. It’s a huge room so two melters work best for that space. Once melting, it took a good ten minutes before the aroma was moving through my living space and aaaaaah!! 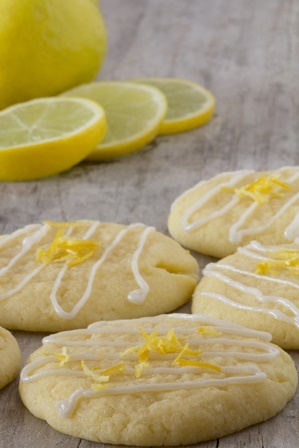 Lemon cookie heaven!! The pumpkin notes do come out once the wax is hot but thankfully, the pumpkin stays very light and in the background. All my nose could smell was lemon cookies and it was very warm and delicious. One thing to note, this wasn’t a super sweet lemon cookie. The fragrance in the air smelled a little heavier and I’m thinking that’s the ginger in the description saying, I’m here, I’m here!! Once melting, the ginger becomes very pronounced. It was different and I really enjoyed it! 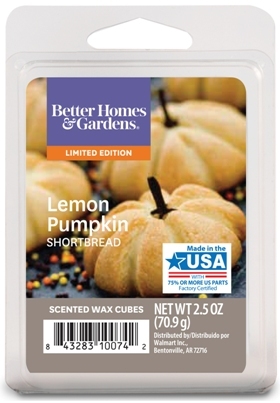 Strength for Lemon Pumpkin Shortbread – I would rate this scent a 10 out of 10 in any size room. It filled my great room and then some very easily and the strength stayed strong and consistent for a good day. That’s pretty decent for a scent that stayed in my melters a good 24 hours non stop. If you get a chance to try Lemon Pumpkin Shortbread, do it, especially if you love lemon bakery scents. It’s a good one, but don’t wait. This is a limited addition scent, meaning it will only be around for so long.